Dr Anne-Sophie Dielen grew up listening to her grandparents’ stories about their life as small holder farmers in the North East of France. She strongly believes this is why she developed a passion for plants, agriculture and stories. She studied plant pathology in order to help farmers grow better crops. 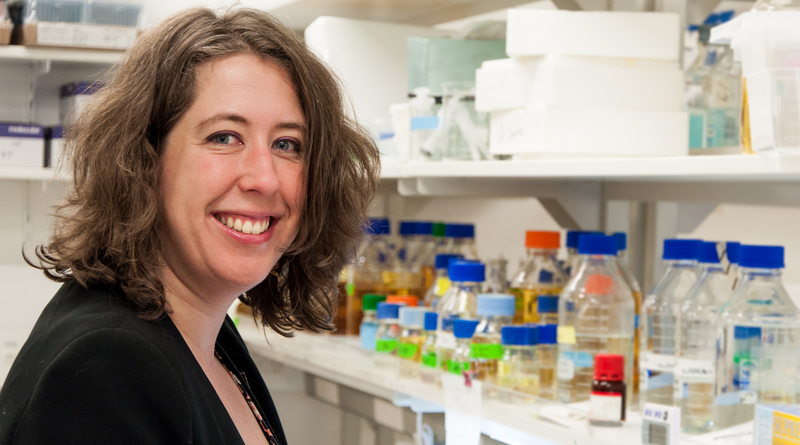 Having always dreamed about Australia, she came to Canberra after her PhD in plant virology. She first joined the CSIRO where she worked on understanding the mechanisms involved in the synthesis and degradation of starch. She then moved to the Australian National University where she worked on making photosynthesis more efficient, as part of a project funded by the Bill and Melinda Gates Foundation. In 2015, she decided it was time to explore what the world outside academia had to offer. She is now an Evaluator for the Office of the Gene Technology Regulator (OGTR). Anne-Sophie is passionate about making science a better, fairer, more balanced place. She is the founder of The League of Remarkable Women in Science, an interview project featuring female scientists working in all areas of STEM, aiming at giving role models to the next generation of female scientists. She is currently working on an e-book collating the interviews of 40 Remarkable Women in Australian Science. Anne-Sophie is also the chair of the National Science Week organising committee for the ACT. She lives in Canberra with her husband Alex, their cat Homer and a pet huntsman named George. I always react to challenges in the same way: half of me is terrified while the other half is totally delighted. I have come to realize early on that when I am excited about a project, I am stubborn enough to make it work. So I listen more to my delighted half and less to the petrified one! I am very lucky that I have a great support network I can talk to. But when it comes to self-confidence, what makes all the difference is talking through the issue with my husband (that and lots of chocolate). His unfailing support and encouragement has proven crucial at every step of my career. What is the one piece of advice you would give to women just starting their careers in science? Don’t listen to people who tell you that you won’t succeed. They lack imagination. But trust your gut feeling: if something doesn’t feel quite right, it’s probably because it’s not quite right. Supervising students is probably what I love the most, it’s always incredibly rewarding to watch them blossom. And I had a massive “proud mummy moment” last year when one of my former students was featured on I F*cking Love Science for her work on drought resistance in barley! Because I heard this time and time again, I internalized the idea that leaving academia was failing. I knew deep down it wasn’t true but it took a long time to overcome the fear that moving to “the outside world” was proof I wasn’t good enough. I am not sure I would change anything: the journey has sometimes been bumpy but it has made me who I am… and I quite like the person I am becoming. But it would have been nice to learn earlier on to be a little more confident, to trust myself a bit more.